CHECHESMITHNATION : Pretty Genevieve Nnaji Stepped Out In Bold Mint Green Number From Her St-Genevieve Lable! 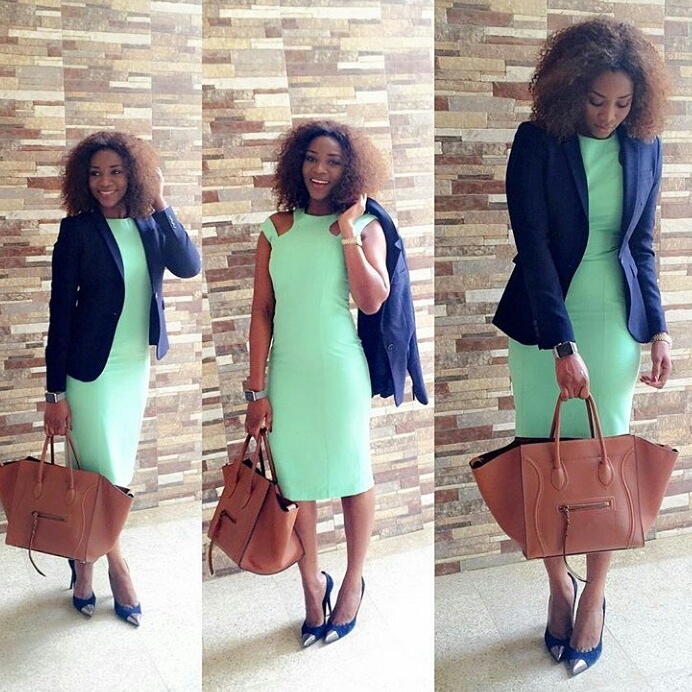 Pretty Genevieve Nnaji Stepped Out In Bold Mint Green Number From Her St-Genevieve Lable! Miss Nnaji, rocked this cute green dress with shoulder cut-outs paired with blue blazer and blue pumps heels featuring...a metallic toe cap. She finished her look up with this bold brown bag.